For those unfamiliar with the game, Griefhelm is a 2.5D side-scrolling dueling game like Nidhogg with a combat system similar to For Honor, and Mount and Blade. In Griefhelm, 2 to 4 players fight with an arsenal of different melee weapons in gamemodes such as Tug-of-War (Nidhogg-like gamemode) and Skirmish. The controlled characters move at realistic speeds and jump at realistic heights making movement less “arcade” and slightly closer to games like classic 2D Prince of Persia The overall combat system relies heavily on animations and timing is key for players to be successful at it. 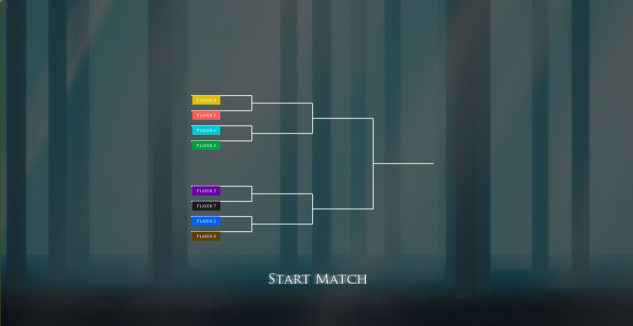 There is also a Tournament Mode to structure the sequence of matches. In the full game, Gamemodes will have modifiers to tweak speed, health, etc, and rules to set friendly-fire, match time, number of rounds, etc. Characters can be customized by changing Helm and Armor. New Helms, Armors, and Weapons are unlockable by defeating foes that appear at certain points of the game depending on a set of stats (as seen in Super Smash Brothers). 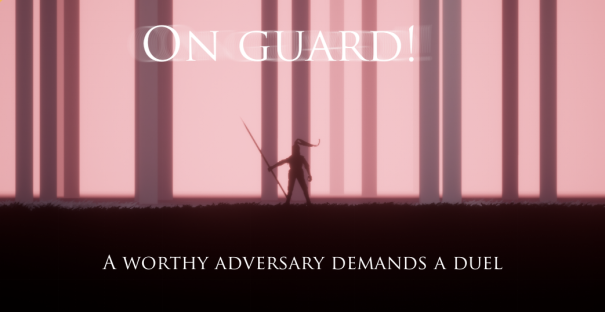 These foes will carry new equipment and will challenge the player to a duel. In the directional combat system, you need to choose the direction of attack and to avoid getting hit, you need to block in the correct direction. When two players are up close whoever attacks first performs a kick to "reset the distances" and obviously giving a slight stun to the opponent. As mentioned earlier, to avoid making the combat system useless I had to reduce the speed and jump height of the players. This is because if players were too fast and jumped too much then blocking was pointless since dodging was so much easier. So the game has more of a classic Prince of Persia approach to side-scrolling: with semi-realistic speeds and jump heights. While this fixed the combat problem, it brought up a new one: platforming. In order to achieve a bit of vertical variation in the game's movement I had to add ledge climbing and ladders. It is possible to add AI bots to your matches. You can change their equipment like any other player, choose their team, and set their skill. Since the last build, the AI has been noticeably improved. Bots will now try to attack only when they're close enough with a probability of miscalculating the correct attack distance (which changes based on its skill), it also tries to charge and strike whenever it dodges an opponent's attack. *Impact on parry means that some weapons won't allow the opponent to riposte after a successful parry. **The last point refers to how many visual cues the animation gives before a strike happens, which makes it easier for someone to understand the direction of attack. The spear is the most effective weapon in this aspect, since all attacks are thrusts, so they are pretty similar. The Greatsword is very balanced in terms of range and speed. The Warhammer is slightly shorter than the Greatsword, it is slower, but can't be counterattacked. The Spear is substantially longer than the Greatsword, it is hard to use at close ranges, it is hard to predict. The One-Handed Sword is short and very fast, also kind of hard to predict. Slightly longer than the One-Handed Sword, not as fast, but still fast, and can't be counterattacked. The emblematic level of Griefhelm, the cold forest where it all started. This level brings you in a beautiful beach at sunset. This level is minimalistic and asymmetrical, just dunes, rock and water placed in different ways throughout the whole level. The aftermath of a bloody siege. Duel between catapults, trebuchets and corpses, from the landed ships to the gates of the castle.